Free of charge and literally on people’s doorstep, Heritage Open Days is an event for everyone, whatever their background, age and ability. 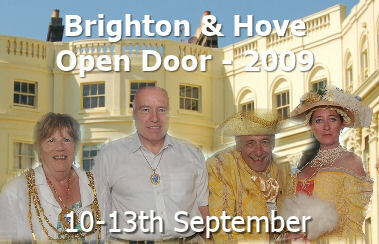 This year, to celebrate the City’s role as the launch venue for Heritage Open Days, Brighton & Hove Open Door offers over 150 events and activities, more than ever before. If you would like to find out more about the Open Days and check out the list of events and activities you can see the details here. This is a great opportunity and we hope you will be able to take advantage of the offers available. If you do visit a venue, attend an event or take part in an activity, why not take some photos of your day and write and tell us about it. In the first instance, mail me on jennifer@mybrightonandhove.org.uk and I can help you to present your material.